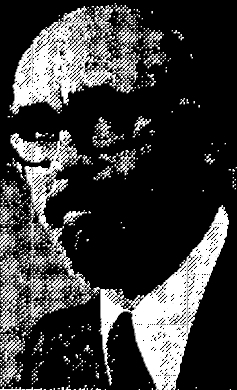 Cecil Blankstein was born in Winnipeg in August 1908. 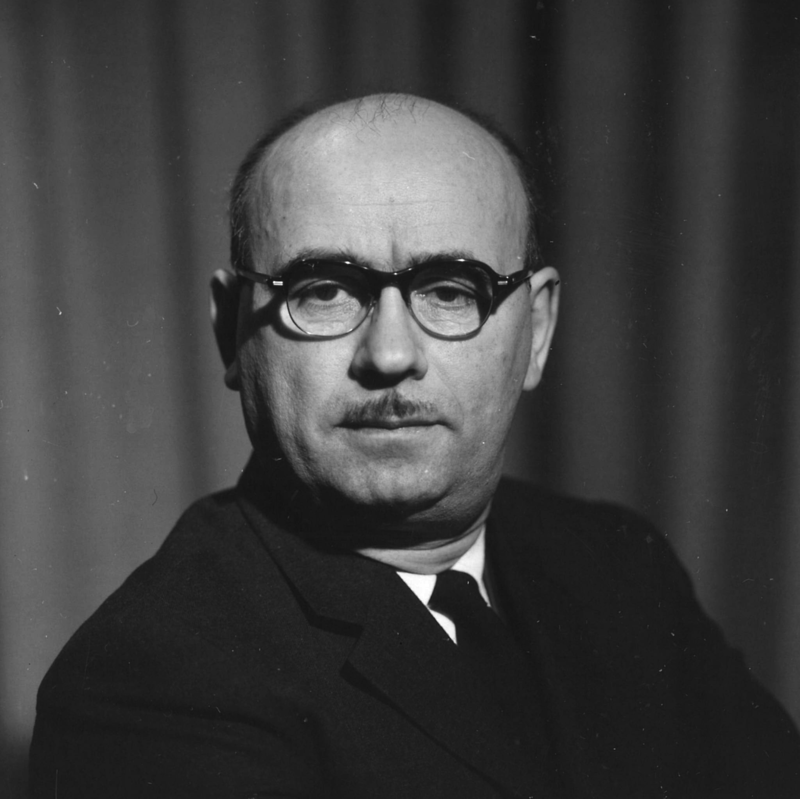 Just over 20 years later, he graduated, in 1929, with a Bachelor of Architecture from the University of Manitoba. Blankstein was born into a tradition of building and architecture. His grandfather, Meyer Blankstein, was a stonemason by trade and a contractor from Odessa, Ukraine, where the family had originated. Cecil’s father Max, trained as an architect in Odessa, continued the family tradition. 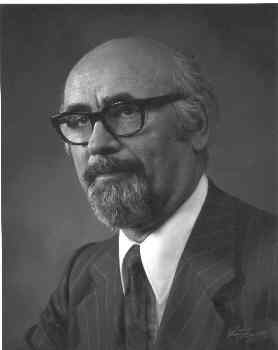 Max Blankstein was an early member of the Manitoba Association of Architects, founded shortly after his arrival in Winnipeg. Cecil Blankstein, his siblings Evelyn and brother Morley, would all follow in their father's and grandfather's footsteps. 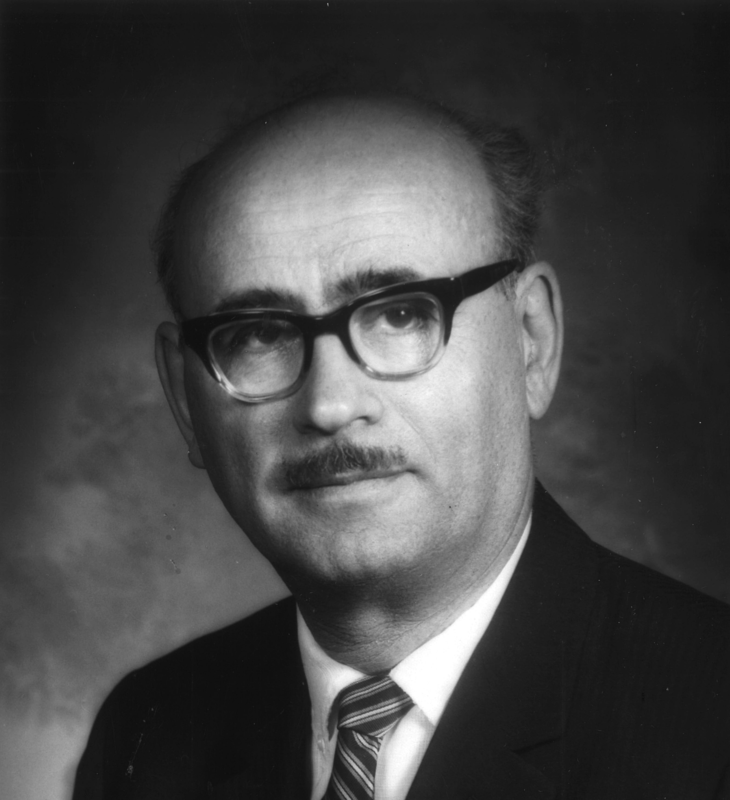 As a student, Cecil Blankstein worked on the construction of the 1926 neo-classical Hudson Bay Company store at the corner of Memorial Boulevard and Portage Avenue in Winnipeg. After graduation, Blankstein obtained employment with the Manitoba Department of Public Works, staying there from 1929-31. In 1932 Blankstein joined with fellow University of Manitoba architecture graduate Lawrence J. Green to form the firm of Green Blankstein. In 1934 the two founders were joined by G. Leslie Russell and Ralph Ham, establishing the office of Green Blankstein Russell Ham. The firm's early work involved the design of a large housing scheme for impoverished Winnipeggers north-west of the city's core area. From 1942-44 Blankstein served an architect attached as a civilian to the Royal Canadian Navy in Annapolis Royal, Nova Scotia. Among the projects Blankstein worked on during his tenure at Green Blankstein Russell and Associates were the Mall Medical Building (Memorial Boulevard at St. Mary Avenue, 1947), Shaarey Zedek Synagogue (561 Wellington Crescent, 1949) and the former Winnipeg International Airport (1964, demolished). Blankstein also designed his own home in 1948 at 268 Academy Road; the structure is of modernist design, with a flat roof and a clean-lined facade of wood cladding, ribbon and clerestory windows (high sections of windows above eye level). Throughout its long period of work, Green Blankstein Russell prided itself on being an interdisciplinary firm, hiring architects and structural, mechanical and electrical engineers, city planners, landscape architects, and interior designers. The firm deliberately hired women graduates from all disciplines as well as people who were physically challenged. In the same vein, during the 1960s Blankstein worked as chairman of the Canadian Paraplegic Association committee on accommodation for the physically handicapped, examining the ways in which buildings might be made more accessible for all. During this same period Blankstein worked with barrister A. Kerr Twaddle on a report examining potential redevelopment of the Whittier Park area of North St. Boniface. During his career, one of Blankstein's strength's was functional planning. 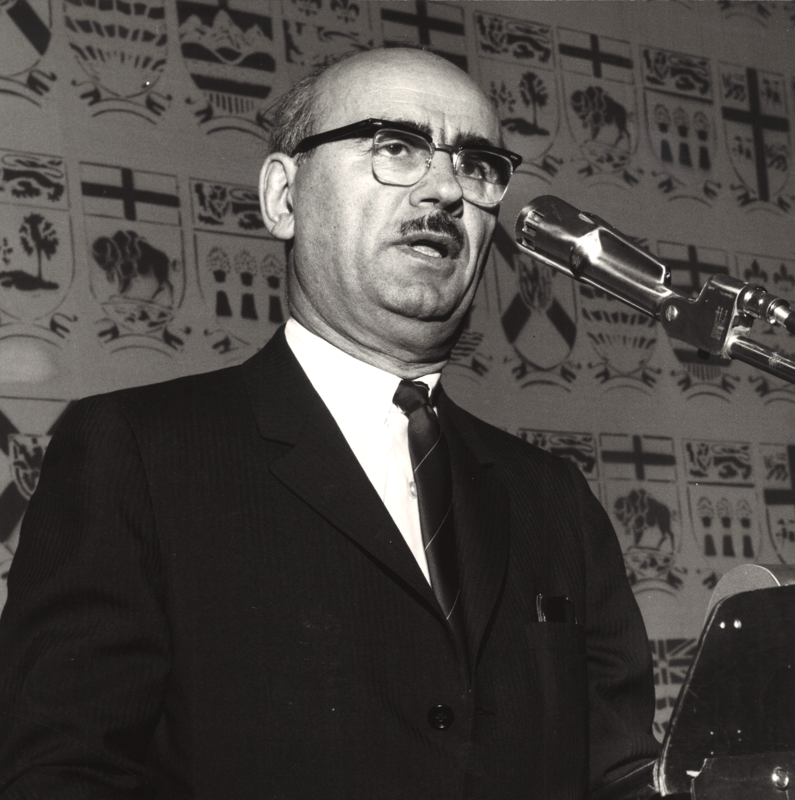 Though he never formally served as an instructor, Blankstein influenced many generations of graduates from the University of Manitoba Faculty of Architecture. These include John C. Parkin, Morley Blankstein and Isadore Coop. 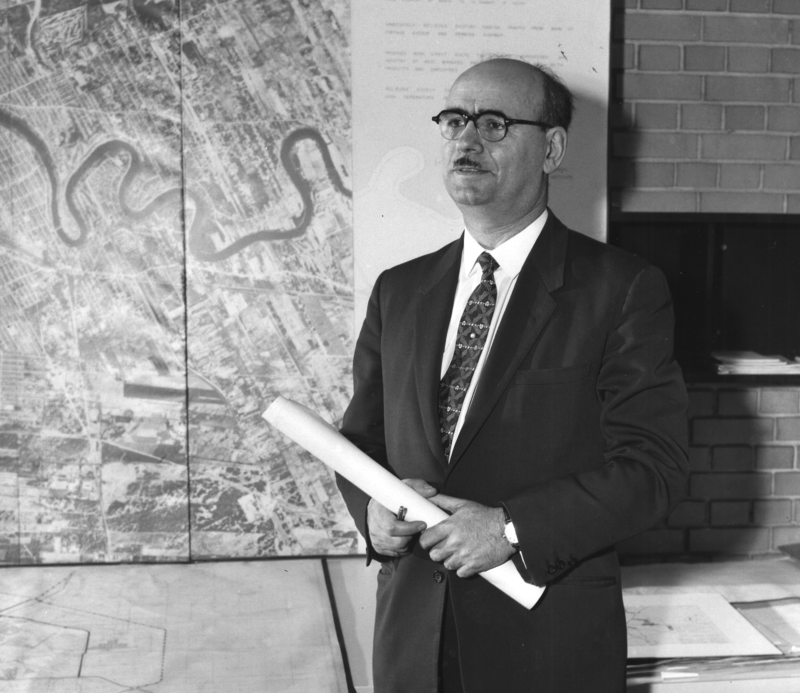 Blankstein sat as the President of the Manitoba Association of Architects in 1955. 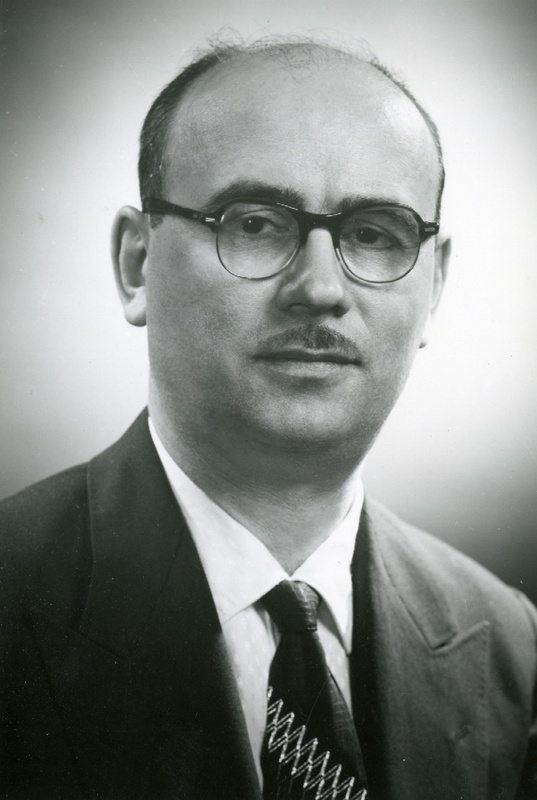 During his tenure he initiated the association-sponsored Visiting Lecture Series. He was also an associate committee member of the National Research Council and the Urban Land Institute. Outside of architectural practice, Blankstein was an active citizen: a board member for local airline Transair Limited, a member of Shaarey Zedek Synagogue, the Sharon Club, and the Glendale Country Club. Blankstein retired from Green Blankstein Russell Architects in 1973, serving as a consultant until 1978. During the latter part of his career, Blankstein was involved in design and development work in Jerusalem, including a role in the creation of Tsamaret Hibira hillside housing project, French Hill, Jerusalem, and one with Jerusalem's senior citizens housing project, Nofim. Blankstein passed away in 1989 in Jerusalem.